You don't have to live with low self esteem. The basic beliefs causing you to feel bad about yourself are some version of, "There's something wrong with me," or "I'm a bad person." These types of beliefs come from things that have happened in your past, where you blamed yourself for what went wrong. Another cause of self esteem problems is not understanding how to deal with the emotions of sorrow, fear and anger. If you were not taught how to understand and express these emotions in healthy ways(most of us weren't), then you could easily end up with low self esteem as a result. You will not only learn to understand why your self esteem is low, you will learn to love and appreciate yourself as you are. What Causes Low Self Esteem? You were not taught to love and accept yourself as you are. Most of us were taught that we were "good" if we acted right--and when we were kids it was pretty hard to act right all of the time. You were not taught to understand and express your emotions in healthy ways, so you ended up with low self esteem every time you felt or expressed your sorrow, fear or anger. 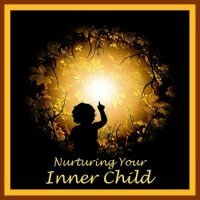 Learn more on this inner child audio CD! When bad things happened, you probably blamed yourself because you were just a child and didn't know what else to do. 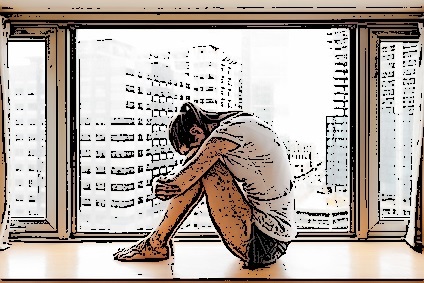 If you were abused, abandoned or neglected, this can be very damaging to self esteem. Another cause of low self esteem is the "cultural programming" most of us grew up with. It is very common to be "your own worst enemy," for example, but not at all common to be your own best friend. Okay, so now we have an idea where the problem comes from. Let's figure out what to do about it! How Do I Raise My Self Esteem? First, review your past experiences, by writing a full a full accounting of your life history, emphasizing those experiences that 1) helped you feel good about yourself, and 2) made you feel bad about yourself. You either work on your past or it works on you. Then use these powerful imagery techniques to revisit any past traumatic memories. When you go through this process, you are correcting the old beliefs that "there's something wrong with you," and that the bad things that happened were your fault. Finally, use these positive journaling exercises to begin re-training your brain to look at what is good, right and working about yourself and your life. By the way, when there's an issue in your relationship, it's not about being right or wrong. The fear of being wrong comes right out of low self esteem, and can cause a lot of trouble in your connections with other people. Do these steps we're recommending sound too easy? Well, it's really not that easy to raise your low self esteem -- but you can do it! If you follow each of the above recommendations, and especially if you get a copy of Nurturing Your Inner Child and listen to it repeatedly, you will be doing a lot of important and challenging work that will get you where you want to be. The end result here is high self esteem, which is your best anger management resource. When you feel really good about yourself, you're not going to want to mess up your life and relationships with a lot of unhealthy anger. Preview the inner child audiobook now...you'll see the buttons below. Get this revised and updated version of Dr. DeFoore's classic CD/audio download program! Using a combination of visualization and affirmations, he will guide you on a journey of emotional healing that will lead to greater self esteem and self love. Don't miss this opportunity to connect with the tremendous value of your true, original nature and begin your journey to a joyful, fulfilling life.